Grand Park City Hall has undergone some serious renovation and Tablescape, it’s modern European restaurant and bar reopened late last year with an intimate and comfortable ambience. 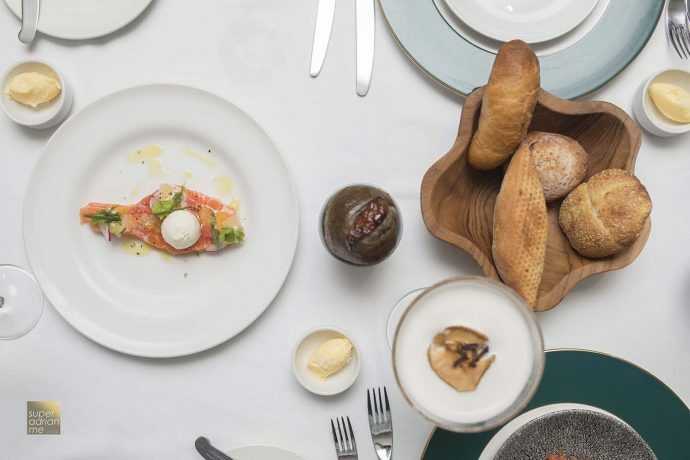 Executive Chef Robert Chan, previously from The Carvery and sister hotel Park Hotel Alexandra, wanted to strip back the fine dining experience to showcase what’s most important – the food. No pretension or fluff. Just great classic flavours executed really well with exceptional traditional cooking techniques. The restaurant features a neoclassical interior design style featuring decorative Peranakan style accent floor, pastel coloured chairs and natural light emanating from the floor-to-ceiling windows. The bread selection here is enough to fill you up if you are not careful. 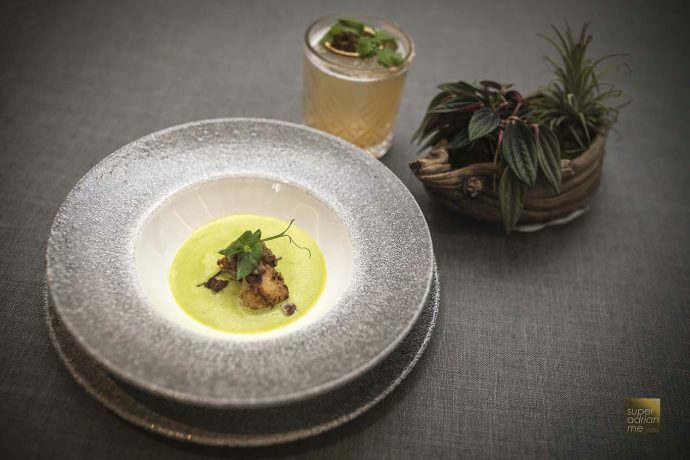 For starters, order the veal sweetbread in two-minute creamy pea soup with ceps mushroom ragù (S$18). 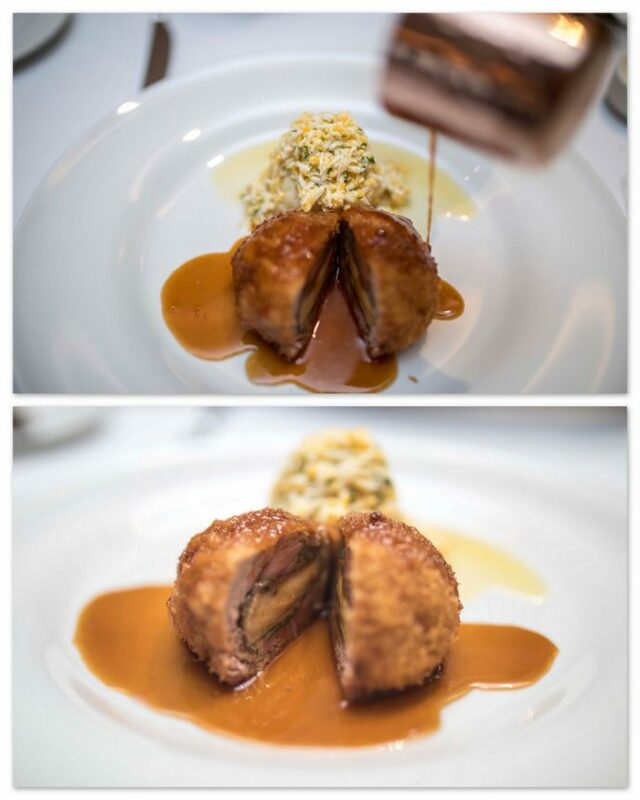 The veal sweetbread is seasoned and pan-roasted in butter. Peas are plucked fresh from the pods, blended, and cooked with white wine and chicken stock for two minutes to retain the colour and nutrients of the pea. The monkfish and lobster risotto in Armagnac lobster bisque (S$38) is absolutely divine. The monkfish is wrapped in a thin layer of prosciutto and pan-seared. The Main lobster is sous vide in clarified butter. 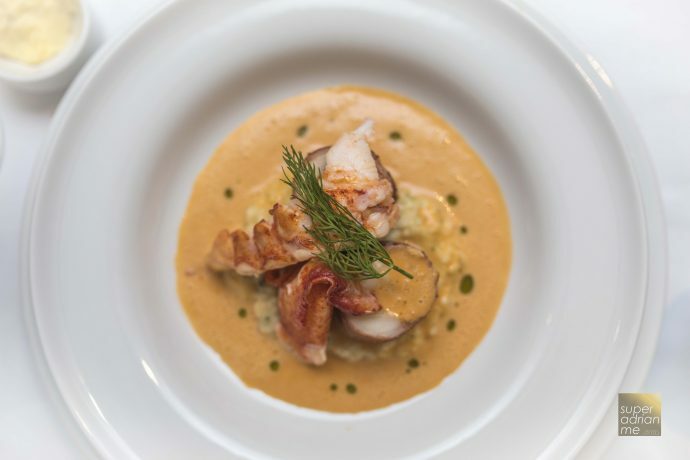 The risotto is cooked in a rich Armagnac bisque, and the Arborio grains are gently simmered in lobster broth and cream. Surprisingly it wasn’t cloying. Craving for more of this right now. USDA beef is finely hand-chopped and mixed with red onions, gherkins, parsley and capers. 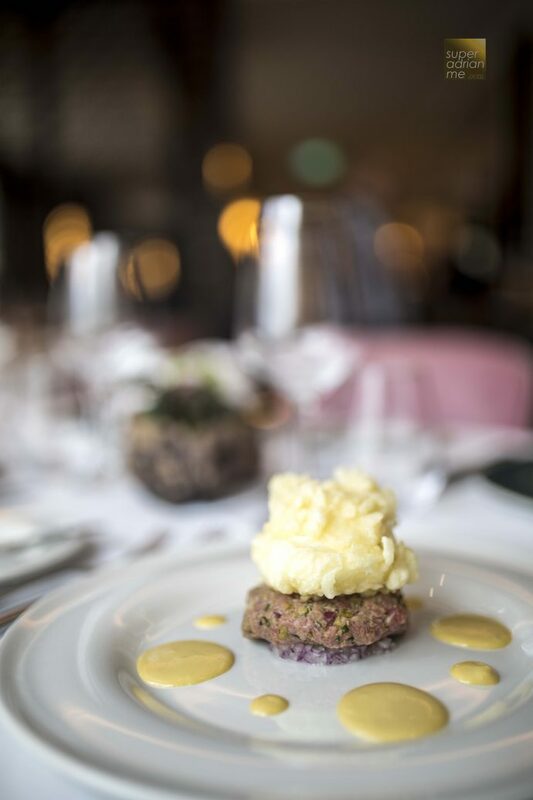 The steak tartare is then stacked with a crackly, battered poached egg for textured. At first look, you may mistake the battered poach egg for mashed potato. Enjoy the milk-fed veal tenderloin that is stuffed with seared foie gras, duxelles and sage. Left to set for a day, the crumbed veal is deep fried and baked in the oven. Choose from a plethora of desserts from the dessert cart. 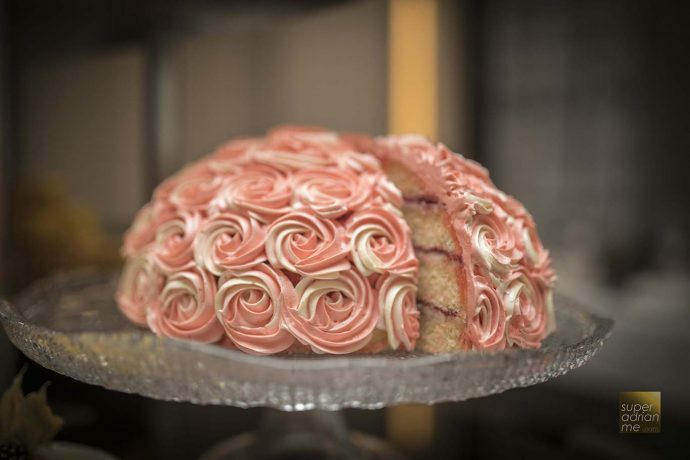 Almost too pretty to eat is the Raspberry Lychee and Almond Cake at Tablescape, a tribute to the classic Ispahan. Layers of almond sponge with raspberry lychee cream and jam. By the time we finished the appetisers and mains at the tasting, there was no more room for cake. Have to save that for another time. I only had room for Champagne Jelly. 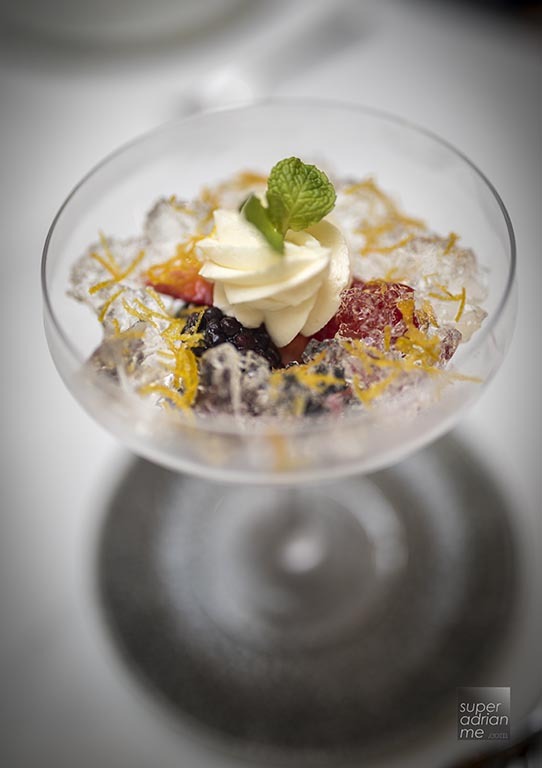 Light refreshing and hints of Champagne in the sweet dessert was anything but ordinary. Great way to end off a meal, in my opinion.